I’M Research Consortium (Indonesia-Malaysia Research Consortium) is the Indonesia-Malaysia network of research-intensive universities and institution, working together to foster institutional innovation through research-inspired teaching and learning, student mobility, connecting our students and staff, and wider advocacy for internationalisation. All I’M Research Consortium member institutions are research-led, comprehensive universities providing a strong quality assurance framework to the network’s activities. Universiti Teknologi Malaysia (UTM) and Institut Teknologi Sepuluh Nopember (ITS) are the institutional coordinators for Indonesia-Malaysia Research Consortium (I'MRC). This has been announced in a bilateral meeting of the high-level groups consists of policymakers from both Ministries, rectors and vice-rectors from the Ministry of Higher Education, Malaysia and Ministry of Research, Technology and Higher Education of the Republic of Indonesia on 2 October 2017 in Jakarta. 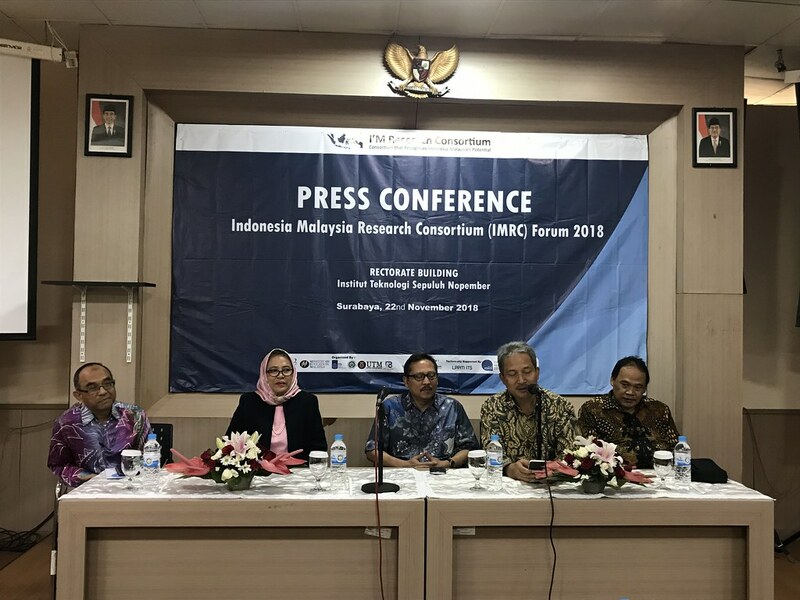 The I'MRC Forum held at Institut Teknologi Sepuluh Nopember (ITS) in Surabaya on November 22, 2018 has agreed to establish 5 research clusters, namely Renewable Energy (Coordinators: Prof. Arshad Ahmad and Prof. Adi Soeprijanto), Humanities and Culture (Coordinators: Prof. Syed Ahmad Iskandar Syed Ariffin and Prof. Suyono), Biomedicine and Health (Coordinators: Assoc. Prof. Teguh Haryo Sasongko and Prof. Agus Rubiyanto), STEM kits (Coordinators: Prof. Datuk Dr. Halimaton Hamdan and Dr. Markus Diantoro), and Disaster risk reduction and disaster risk management (Coordinators: Prof. Zulkifli Yusop and Dr. Amien Widodo). I would like to invite lecturers and researchers from Indonesia-Malaysia higher education and research institutions to participate in I'M Research Consortium. I look forward to meeting you and welcoming you to the I'M Research Consortium. Together we will build tomorrow’s traditions in scientific research and education. All about food and Nutrition.